This fulfilling course is offered to all those who are seeking to understand more about digestive gut health. Aimed to bring awareness of the link between mental health and gut health via the gut-brain connection, this 2 day training is for health professionals and yoga teachers alike to harness their skills and assist others. The training will give you a deep understanding of yoga therapy tools and meditation techniques to enhance your professional development. Together, we shall explore the gut-brain axis in depth as well as the fascinating importance of the body’s microbiome. 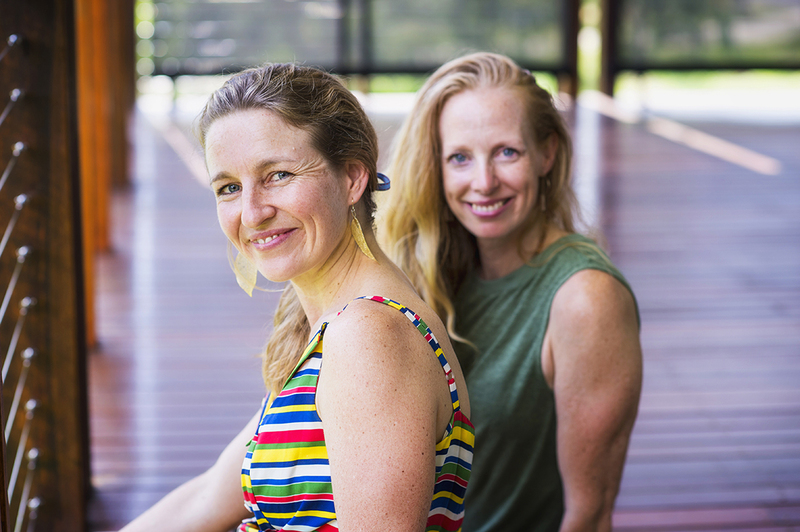 This weekend will also bring together the disciplines of Ayurvedic wisdom, neuroscience and the evidence-based benefits and practice of mindful eating, as well as the power of Kundalini Yoga for complete digestive wellbeing. This complete morning will immerse you in yoga therapy tools for enteric nervous system health and microbiome diversity. As such this session will bring an enlightening awareness toward the brain-biome interaction. We recognized that many have digestive health issues can have an alienating experience and this weekend we come together to assist one another and to seek further assistance from Celia, who will foster your wisdom in wellbeing. Within the scope of practice, basic Ayurvedic food and herbs will be mentioned, both as prebiotics and probiotics. Simple Ayurvedic nutrition remedies will be combined with modern nutrition guidelines to provide you with some new ways to repair your gut health. Kundalini yoga therapy for great gut health as described by Yogi Bhajan references a common Ayurvedic understanding: that the health of the Gut is the source of all systems becoming aligned, resilient and healthy. Kundalini yoga promotes both radiance and vitality stemming from our navel and digestive centre. Experience a fulfilling practice, developing strength, stability and confidence in which life’s energies are drawn through your inner most being to aid in re-aligning and balancing the digestive tract. Though not often overtly recognized in western society, the digestive system, and the nerves that are embedded within it, is an instigator of either health or disease. And ultimately the way in which we digest life, view and treat the body comes from intuitive awareness which we must cultivate daily. This Kundalini Yoga training workshop is designed to enrich your mental, physical, and nervous energies in order to bring balance as well as to nurture knowledge for future practice. We will explore the basic use of sattvic foods and lifestyle choices as prescribed by the kundalini yoga tradition. This is an immersive experience of body, mind awareness and connection though the practice of meditation. Though much of what we do is vital to our existence in this life, so too is paying attention to how we do it. There are many times within our culture of busy that we choose to rush through the processes of our daily living, and it is no secret that this is not only detrimental to holistic health, so to it deprives us of vital presence in relationships. Celia will take you through what it means to cultivate a healthy brain through the biome, to truly experience presence, and to wholly understand what it means to enjoy the essence of nourishment and nutrition for the body and mind. Understanding the physiology behind practice including concepts such as stress, trauma and the epigenetics of trauma on the digestive system, the imperative nature of the body’s microbiome, and the transformation of biome and genome from a neurobiological perspective. Understanding the psychology behind practice including state-of-the-art evidence-based research validating a multiplicity of mindfulness and meditation paths of practice. Explore yoga therapy tools, meditation tools, and applications in practice and teaching methodologies of brain and biome health with research, understanding, awareness and mindfulness. Foster your body-mind awareness and connection though the practice of mindful eating. Mindful eating is the process of paying attention at each and every meal. Though what we eat is vital, so too is how we eat. There are many times within our culture of busy that we choose to “eat on the run” or, we sit, scoff, and then leave (Read Celia’s article here). This way of living not only detrimental to holistic health, so to it deprives us of vital presence in relationships. Mindful Eating and Neuroslimming can greatly assist with the serious obesity crisis we now face in Australia. We understand that the most key factor in successful weight management has been ignored: the brain. The brain is our control centre. The following refers to the work and writings of Dr Helen Popovic, which Celia will refer to within the meditation practice. “Every part of the body follows the signals and instructions sent out by the brain. It doesn't matter if you have a slow metabolism, a frenetic lifestyle or a genetic predisposition to fat gain, because NeuroSlimming addresses the underlying source of the issue and gives you a Mind Plan, not a meal plan. How use meditation practices and brain hacks to assist you in reducing self-sabotaging behaviours and get the result you want.